With so many of our clients living in high-rise condos with limited space, we thought it was necessary to share our tips on living big in small spaces. “It can’t be done!” you might be saying, but it can. With the help of our designer Jay Filler, you’ll be living in a spacious 900 square foot home in no time! Enhance your light source. Making a large light fixture your statement piece is crucial when wall and floor space is lacking. It can be eclectic or traditional, both look great mounted to your ceiling. Bonus, more light brightens up the smallest spaces! Lighting that takes center stage! Get low. 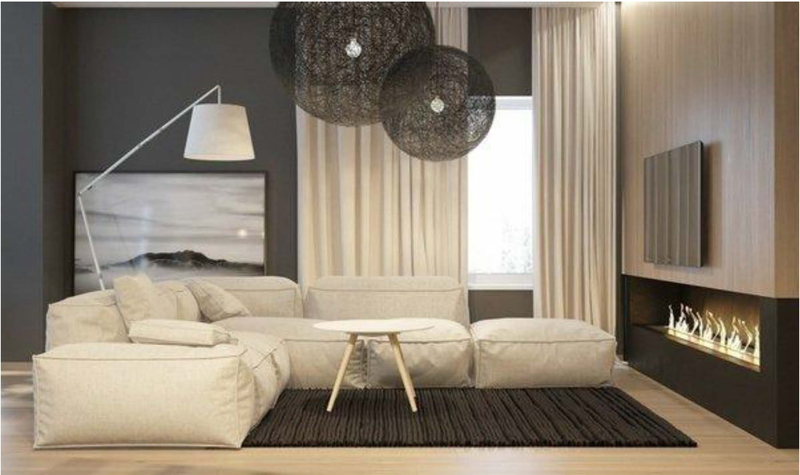 If you have a space with low ceilings, make sure to select sofas, chairs, coffee tables and stools that sit low. This gives the room a high-ceiling effect without the demo work. Enlarge your furniture. So many people cramp their spaces with multiple small pieces of furniture. The old saying “go big or go home” is of the utmost importance in this case. Don’t be afraid to go big with your furniture and make a statement with a large sofa or armoire. It will take up a chunk of your space, but never fear, big statements equal big rooms! Make your art work for you. Hang large pieces of art low on your wall and watch your space magically grow. 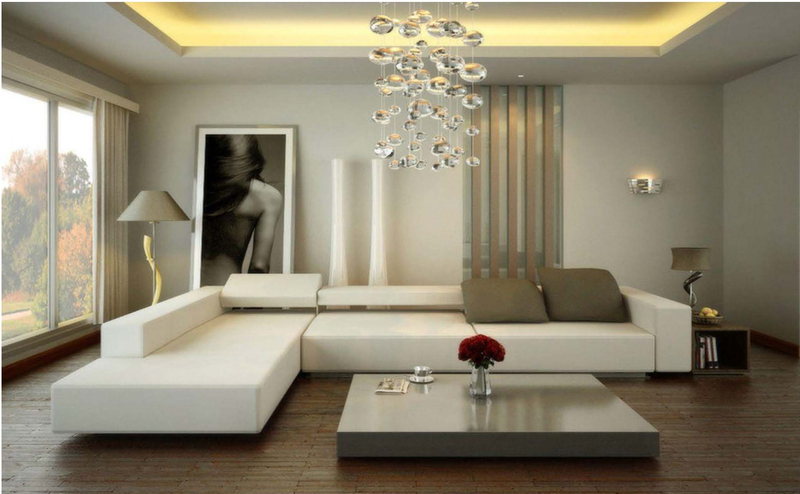 Low-hanging art draws the eye down and makes the ceilings feel higher. Mounting your drapery rods closer to the ceiling has the same effect. Long flowy drapes are the quickest, easiest way to elongate a space. Low hung art and furniture combined with floor to ceiling drapes make this space look larger than life. Stay neutral. You may be the dark and moody type, but small spaces drenched in rich hues end up feeling cramped. 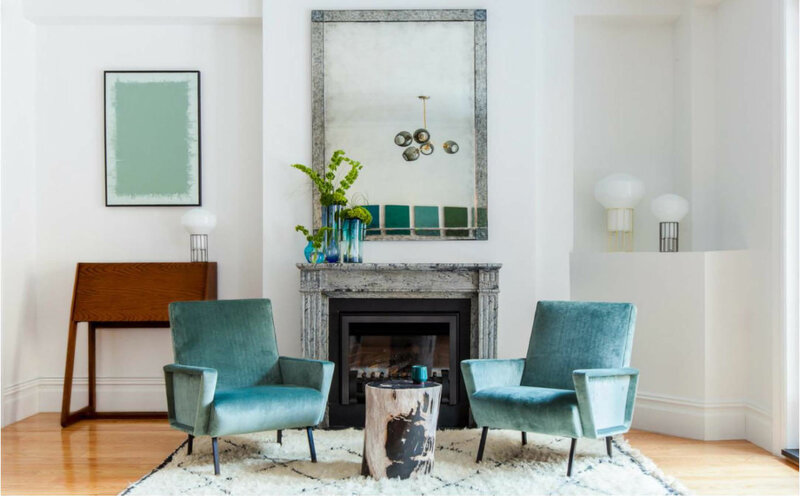 Instead, opt for an overall neutral pallet with pops of color – specifically jewel tones if you’re missing that opulent feel. Jewel tones pop against neutral backgrounds to create a fresh and luxurious feel. or design with mirrored furniture (Mitchell Gold + Bob Williams has a few), they reflect space back to you giving the appearance of more room. They also reflect light. Remember rule number one, more light, more space. 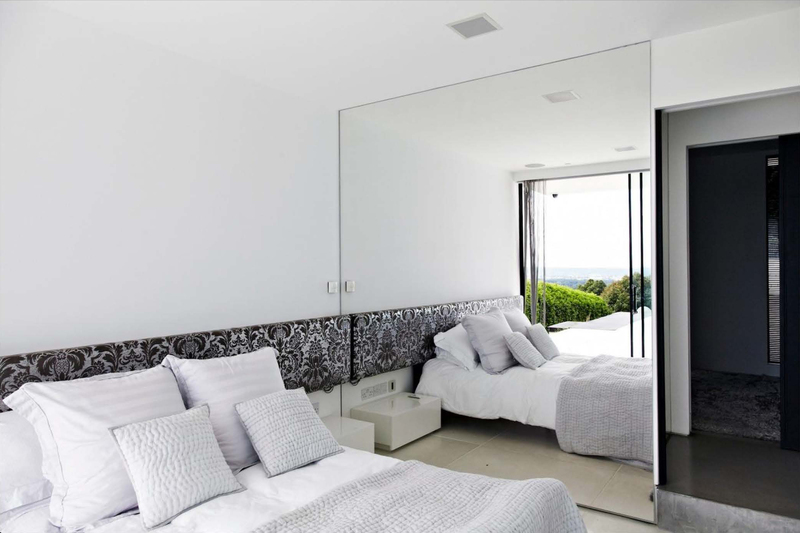 A mirrored wall doubles the size of your space with one glance. If you’re still feeling overwhelmed, Robb & Stucky is here to help. 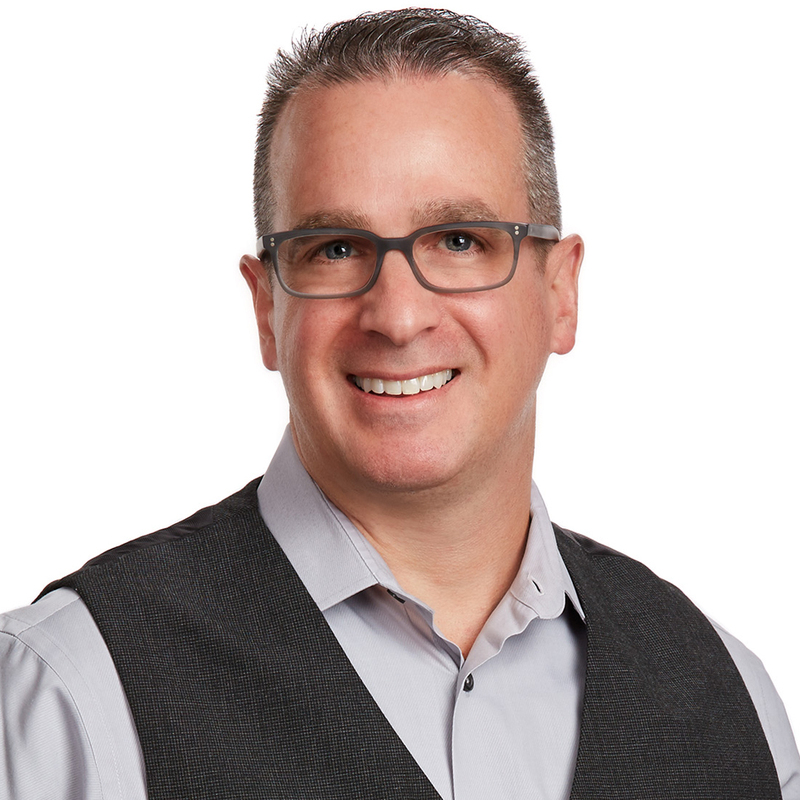 Give Jay Filler a call and start living big in your small space! In 2011, a new Robb & Stucky was formed when the family of Samuel Kuo, founder and CEO of Samson Holding Ltd. purchased the brand and intellectual properties. With new executive leadership, the revitalized brand opened its first showroom in 2012 in Fort Myers. Today, Robb & Stucky has store locations in Naples, Fort Myers, Sarasota, Coral Gables and coming soon to Boca Raton.